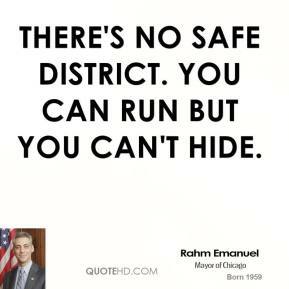 There's no safe district. You can run but you can't hide. 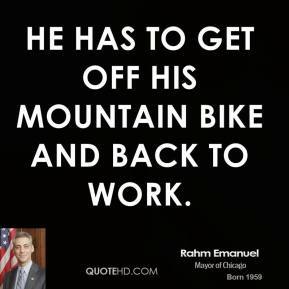 He has to get off his mountain bike and back to work. The schedule speaks volumes -- he's persona non grata around the country, ... 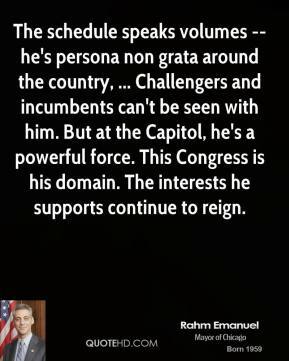 Challengers and incumbents can't be seen with him. But at the Capitol, he's a powerful force. This Congress is his domain. The interests he supports continue to reign. I think tax reform is a winning issue for Democrats, ... 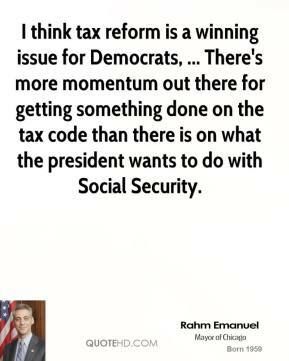 There's more momentum out there for getting something done on the tax code than there is on what the president wants to do with Social Security. 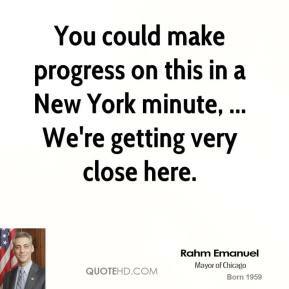 You could make progress on this in a New York minute, ... We're getting very close here. 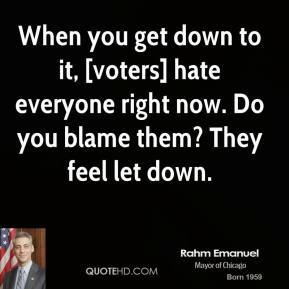 When you get down to it, [voters] hate everyone right now. Do you blame them? They feel let down. 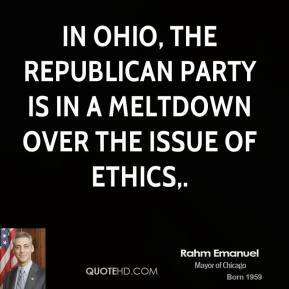 In Ohio, the Republican Party is in a meltdown over the issue of ethics. 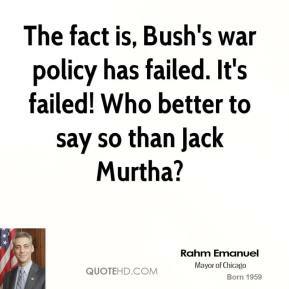 The mayor deserves criticism -- not for what he knew, but for what he did not know. 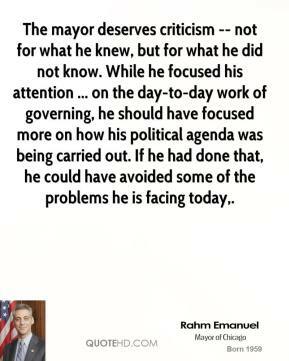 While he focused his attention ... on the day-to-day work of governing, he should have focused more on how his political agenda was being carried out. If he had done that, he could have avoided some of the problems he is facing today. My gut tells me he doesn't really care about the nitty-gritty of politics. It's just not what his interest is. But guess what? 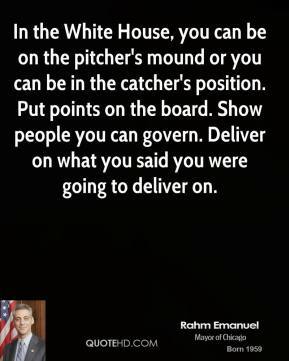 In government, there's politics. So you don't get a pass [to] say, 'I gave it to somebody else.' He outsourced it, which is one of the reasons I'm against outsourcing. 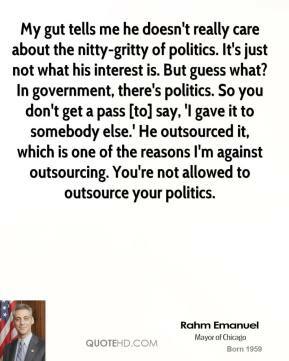 You're not allowed to outsource your politics. 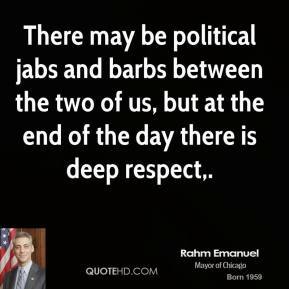 There may be political jabs and barbs between the two of us, but at the end of the day there is deep respect. 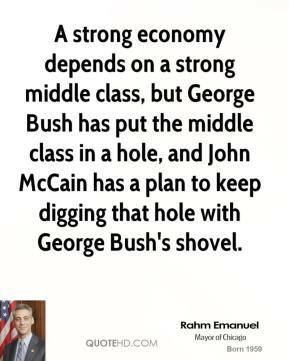 A strong economy depends on a strong middle class, but George Bush has put the middle class in a hole, and John McCain has a plan to keep digging that hole with George Bush's shovel. 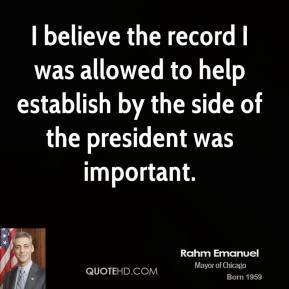 I believe the record I was allowed to help establish by the side of the president was important. 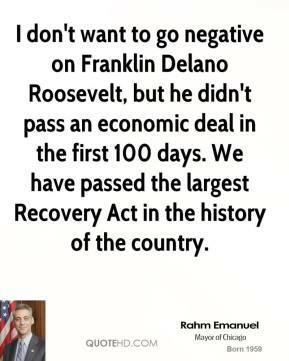 I don't want to go negative on Franklin Delano Roosevelt, but he didn't pass an economic deal in the first 100 days. We have passed the largest Recovery Act in the history of the country. 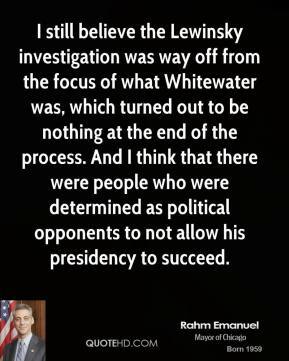 I still believe the Lewinsky investigation was way off from the focus of what Whitewater was, which turned out to be nothing at the end of the process. 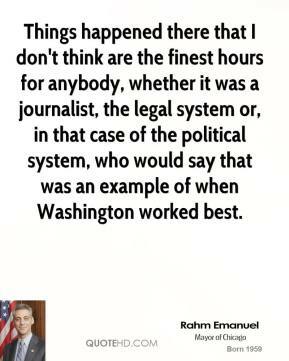 And I think that there were people who were determined as political opponents to not allow his presidency to succeed. 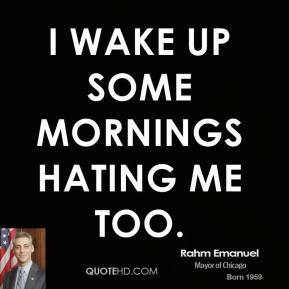 I would like to run for the mayor of the city of Chicago. 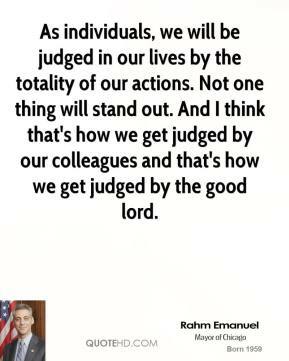 That has always been an aspiration of mine even when I was in the House of Representatives. 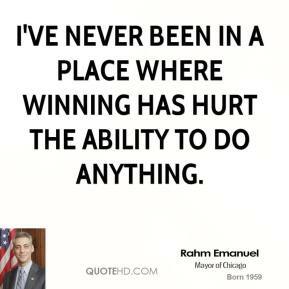 I've never been in a place where winning has hurt the ability to do anything. The American people... want change. 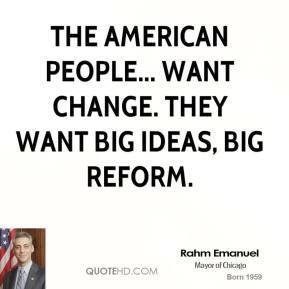 They want big ideas, big reform. 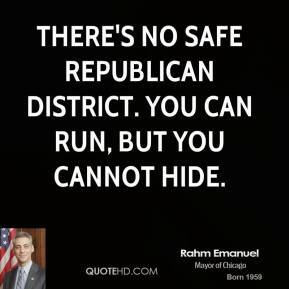 There's no safe Republican district. You can run, but you cannot hide.